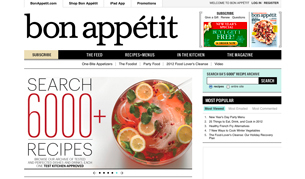 According to Bon Appetit magazine, 2014 is our year, Pittsburgh! Chef Jason Huzzard from the Original Fish Market makes Lobster Flautas live on Pittsburgh Today Live, a Pittsburgh Restaurant Week Summer 2012 exclusive included on their restaurant week special from August 13-19, 2012. View Coverage of Pittsburgh Restaurant Week Summer 2012 on CBS Pittsburgh (KDKA-TV). This interview focuses on the participating restaurants and tips for participating diners. Tune in to CBS Pittsburgh (KDKA-TV) on August 6, 2012 at 6:30 a.m. as Jon Delano interviews Event Director, Brian McCollum and participating restaurant about the upcoming Pittsburgh Restaurant Week on the Sunday Business Page.